MILPITAS, Calif.--(BUSINESS WIRE)--Apr. 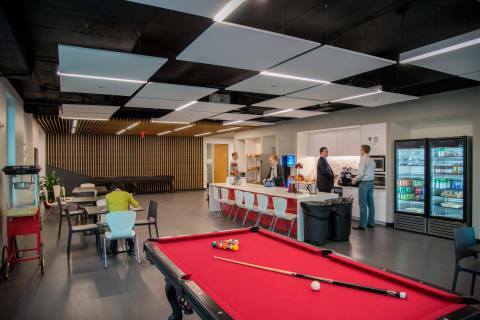 10, 2019-- FireEye, Inc. (NASDAQ: FEYE), the intelligence-led security company, today announced the expansion of its Reston Virginia footprint with a larger office space, reinforcing the company’s long-term investment in growing cyber talent in the Dulles Tech Corridor. In today’s environment of unprecedented attacks by sophisticated threat actors, the role FireEye has played in protecting people and organizations has scaled as well. FireEye has been growing its presence in Reston and Alexandria since 2011. In addition to housing a significant number of Threat Intelligence and Mandiant® consulting experts, the new Reston facility will be the epicenter of FireEye Managed Defense operations. Analysts will continue to monitor threats 24 hours a day, 7 days a week, and aggregate these insights within FireEye products and services. Hosting the company’s largest security operation center, the state-of-the-art building will house more than 300 employees to start, while providing room for future expansion needs. Along these lines, FireEye is planning to move into a new office space in Alexandra Virginia as well. FireEye plans to continue to hire top security professionals for all roles out of Reston, including tech and engineering, while Alexandria is primarily home to FireEye Mandiant consultants. “FireEye has provided enormous assistance not only to a range of companies in advancing their cyber security, but in educating policymakers and the general public. It’s exciting to see that they’re expanding their footprint in Virginia, drawing on (and helping expand) the enormous cyber security workforce we have in the Commonwealth,” said U.S. Senator Mark Warner (D-VA) and Vice Chairman of the U.S. Senate Select Committee on Intelligence.